We also popped in to take a look at these two bookstores along Zhongshan Road, namely O2sun and Xin Hua bookstores. 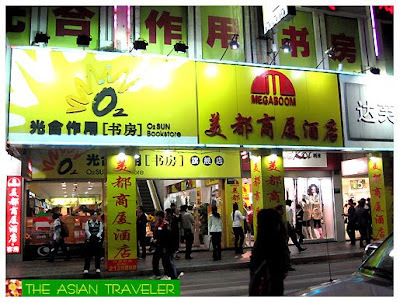 O2sun is the largest private-owned chain bookstore in Fujian and one of the leading bookstores in China. 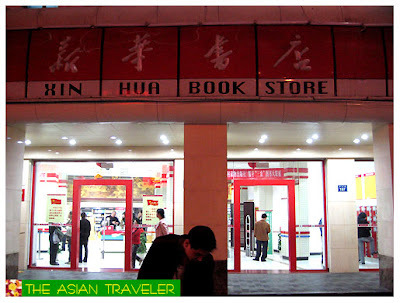 While Xin Hua bookstore has collection of classics and has been instrumental in promoting governmental policies, cultural, scientific and technological information. Hubby bought a handful of books suchs as Chinese-English Conversational, and some very short introduction books about Consciousness by Susan Blackmore, Cosmology by Peter Coles and Jung by Anthony Stevens. Price ranges from Php 100.00 to Php 250.00 only (around US$ 2.50 to $6.00). Cheap huh! 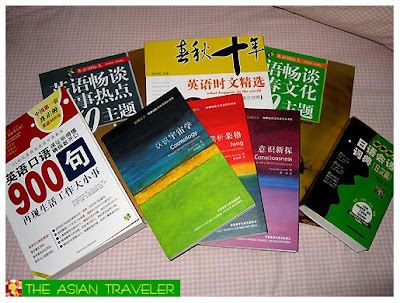 But here's the downside, most of their books (almost 99%) are in Chinese language.